Organic Media Group is a San Diego SEO company led by a dedicated group of consultants that blend years of experience in SEO, Social Media, Content Marketing and Link Building. 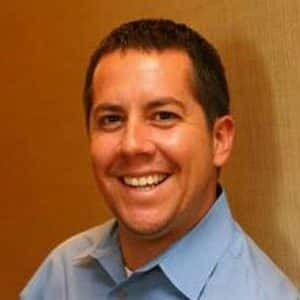 Our President and Founder, Miguel Salcido, has a combined over 15 years of experience in building and running SEO departments for large digital agencies. He has been able to manage over 700 SEO campaigns over the years! Working with Fortune 50 clients, all the way through to small and medium sized businesses. Its this experience in building and managing successful organic traffic (SEO) campaigns that has allowed Organic Media Group to offer real, results-oriented, services to its clients. We believe in creating results for our clients in the shortest amount of time possible, while at the same time ensuring that those results last. We would love the chance to show you what we can do and to create the results that you deserve. Although we are a San Diego SEO company, we’ve worked with clients all over the world. While we love working with local companies, we’re worldly individuals so don’t let that stop you from reaching out. We work with companies of all shapes and sizes, from the local plumber to big brands like State Farm Insurance. So rest assured we can handle whatever you want to throw at us. We’ve also worked in some of the oddest niches around. Writing content about “transducers” was a challenge, especially when its followed by content writing for a client that sells ride sharing technology. Our guest posting service is also our most popular because they drive the most significant results for both our agency partners and our direct clients. The point is that we can handle every and any situation. CEO Miguel Salcido has optimized way too many sites in his 12+ year career. There’s not much that he hasn’t seen. Organic Media Group also services some of the most reputable SEO agencies in the world, who trust us with their link building and SEO needs. So if you are from an agency and looking for first-class SEO work for your clients then we could be the perfect fit. We work with many agencies in San Diego. So if you are local give us a call and we can meet face-to-face. We also work with agencies all over the US, and all over the world. In certain cases we will travel for a face-to-face meeting. But we are also more than able to build a great relationship remotely, which is how most of our agency relationships are fostered. So whether you are a San Diego SEO agency or a digital agency based out of Spain, we are your experienced go-to SEO support team.